Add all the ingredients, except the oil, to a large mixing bowl and stir. Heat a heavy-based non-stick pan with a teaspoon of coconut oil for each batch of fritters. Using your hand (clean, obviously), form the fritter mixture into snooker-ball-sized rounds and then gently transfer them to the hot pan in batches of 3 or 4. Carefully press down on them to flatten slightly (they should be about 2 cm thick) and allow them to shallow fry on medium heat until the one side has a lovely rich golden colour; turn each fritter carefully and fry on the other side. Once you have made all the fritters you can serve them with a salad, or simply some diced avocado and plain full-fat yoghurt seasoned with salt and pepper. 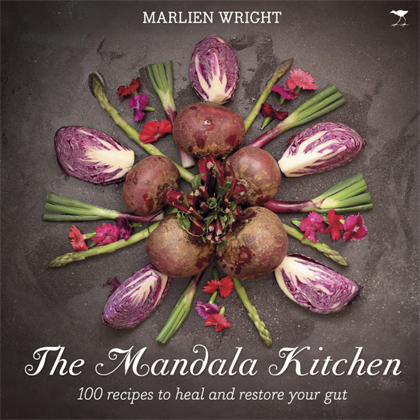 Recipe reprinted with the permission of The Mandala Kitchen.